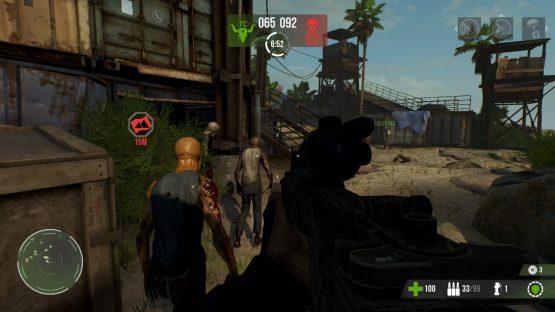 Just when you think you’ve seen everything a zombie shooter has to offer, a new game comes along and begs to differ. While not straying too far from the standard FPS multiplayer path, the newly released Dead Alliance explores a world where the undead are nearly as plentiful as the bullets being fired. With these creatures aimlessly shuffling around every corner, it’s only a matter of time before things get messy. And trust us, this is a messy game in more ways than one. Ironically, the stars of Dead Alliance are actually the characters that are already deceased. That’s right, the zombies are the center of attention. While initially they would appear to merely be reanimated environmental window dressing, it doesn’t take long before their lack of interest morphs into a frothy appetite for flesh. It’s at this turning point that they start to play a crucial role in the flow of a match. As the clock ticks down, the body count rises and the zombified population follows suit. Eventually the brain-feasters reach a saturation point that can make it genuinely difficult to navigate a map. This is where the “alliance” portion of the title actually comes into play. Anyone can go into a run-of-the-mill shooter and be successful. However, in this special flavor of FPS, firearm proficiency is only a piece of the puzzle. The key is to turn the zombie masses to your advantage through use of the game’s unique satchel of special items. There are a grand total of ten different tools that can be used to ward off the surrounding saunterers, attract their attention, rile them into a frenzy, or enhance a single beast’s capabilities. What makes the use of zombies so much fun is the variety of creative ways they can be manipulated. Anybody could use a distractor to draw the monsters to the opposition’s base. Why not instead use it in a Capture the Flag match to create a wall of hungry critters, thereby funneling whomever might be carrying your flag directly into an ambush? Most of the objects in the player’s arsenal can also be used in tandem to generate some rather amusing outcomes. A perfect example of this would be landing a distractor a reasonable, but still line-of-sight distance away from the enemy base. When this happens the adversaries will actually get a momentary reprieve, as the mindless morons investigate this curious device. Once the inquisitive crowd has grown large enough, launch a P.A.M. grenade into the middle of this sea of miscreants. This will incite a violently aggressive frenzy amongst the group. The poor bastards trying to guard that nearby base will never see it coming. Without getting too preachy about the lack of any genuine single player, just know that this is first and foremost a multiplayer shooter. Sure, there’s a single-player survival mode, but it’s barely enough to qualify as a genuine single-player experience. If the survival mode isn’t your bag, there is still the chance to play the standard multiplayer game modes against bots. Now if only the bots were more competitive than a grade school pillow fight, it might actually be worth playing more than a handful of times. 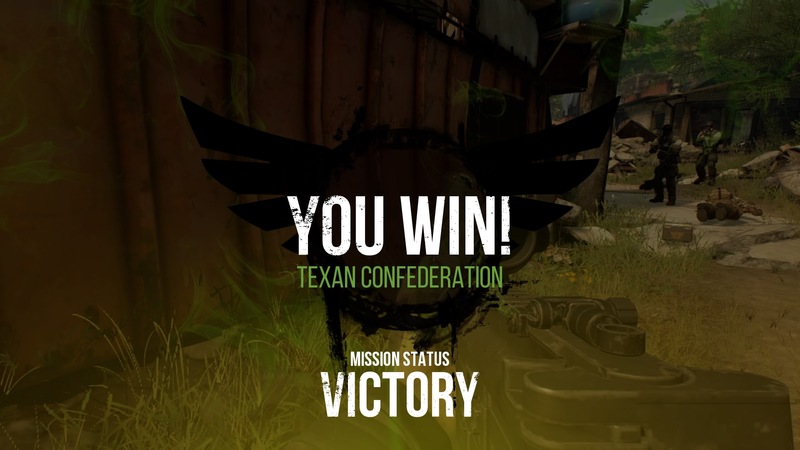 The aptly titled “Attrition” mode is pretty much what you would expect from a MOBA taking place in an ever-evolving zombie wasteland. There are essentially two lanes that either team can chose to attack or defend. It is important to strike a balance between protecting the home base and also invading the adversary’s. In order to do this, a series of checkpoints need to be captured, which will in turn push the proverbial front line of battle closer to the opposition’s base. Though the crux of Attrition sounds fairly simple on paper, the back and forth dynamic of fighting a battle on multiple fronts tends to be rather complex. It can be especially entertaining if you are playing with either people that you know, or those that chose to play with a live microphone. At least on PlayStation 4, I feel like this is a drastically dwindling audience, which in turn leads to my first significant complaint. If you don’t have a dedicated squad of four to play with, expect for each round to be an exercise in borderline futility. Another downfall that’s frequently encountered across all multiplayer modes is the use of bots to fill empty roster positions during matchmaking. As a developer, unless you’re confident that you’ve designed the most competent AI logic in history, just don’t bother. I would honestly rather have an empty spot in my lineup than some dipshit dudebro doppelganger running around the map like it’s frantically in search of Curly’s gold without a map. These AI positions end up getting filled mid-match anyway, but usually by the time that happens the bot has already dug its respective team a hole deep enough to strike oil. Moral of the story: if you are a game developer considering using bots to fill out multiplayer matches, please for the love of all things holy, don’t do it. Personally, my biggest complaint is the fact that Dead Alliance feels unfinished. Even simple things like tutorials to explain higher level combat mechanics or how a gameplay mode works are nowhere to be found. There’s an in-game currency accrued throughout that can apparently be used to create your own custom loadouts. Nothing is done to call attention to this feature and it’s hidden behind an option on the main screen called “Hideout.” I guess they are just hoping that players are curious enough to search behind that specific menu item? And just think, if these are the complaints about what’s wrong outside of battle, how much does that make you worry about the actual combat portion of the game? Once you enter the arena, this is where things get even harrier. Even if you can tolerate the brain-dead AI substitutes, it’s hard to miss the general lack of polish throughout. Did you know that you can actually run THROUGH your own teammates? I get that playing a zombie shooter requires a suspension of disbelief, but passing through other characters is where I draw the line. Also on the visual side, the animations, especially for events like meleeing flesh-feasters, is poor at best. The zombies take a single strike and then flop to the ground like a neglected marionette. Lastly, something needs to be done about the spawn locations. I genuinely lost count of the number of times that I re-spawned directly in front of or had another combatant magically appear just a few feet in front of me. These are the kinds of complaints that should’ve been ironed out well before a release. For all of its promise, Dead Alliance falls frustratingly short of its full potential. The combat is well executed and the creative uses of zombies are easily the most satisfying aspects of the mechanics. Sadly, it lacks the polish necessary to justify its considerable $39.99 price tag. If this were a bargain-priced title or even an early access release, these mistakes would probably be a bit more forgivable, but unfortunately this is a proper retail release. You should probably shuffle on by this one, because it shows very few signs of life. Dead Alliance review code provided by the publisher. Reviewed on PS4. For more information on scoring, please read our Review Policy here. Does every game have to be a MOBA?